It is September 4, 1964. 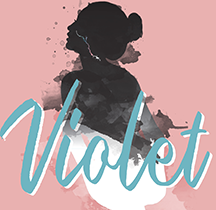 Violet Karl, is a young woman who has spent her life secluded from the world on the side of a mountain with her father, no mother, and a giant scar from a loose axe blade. She has spent her teens in hiding from the awkward stares of strangers and words of Christian sympathy spat in her face. However, today is different. This morning, Violet woke up with a bus ticket in hand ready to take a journey across America to finally meet the evangelist she has been watching on TV since she was a kid. He is going to heal her scar. He is going to make her “pretty”. This play is an exploration of what beauty is. An exploration of our flaws and what things we let separate us from the world.